For other uses, see Nice (disambiguation). 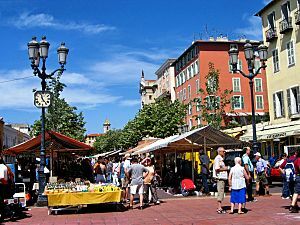 Nice is a city in southern France on the Mediterranean coast. 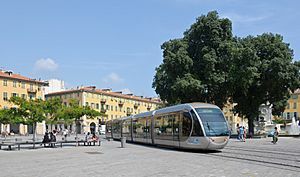 It is a commune in the French department of Alpes-Maritimes. It has over 345,000 people living in the city as of 2012 (1,000,000 in its metropolitan area). It has many beaches. It has a hot-summer Mediterranean climate (Csa in the Koeppen climate classification). Summers are hot, dry, and sunny; winters are mild with moderate rainfall. 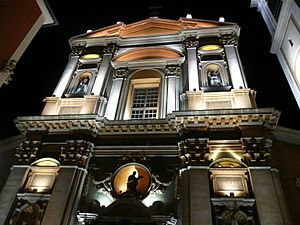 From the late 18th century, wealthy British visitors came to Nice, with its beauty and its warm climate. Queen Victoria was amongst them: she made several visits. 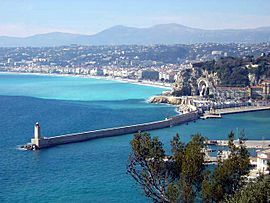 The city's main seaside promenade, the Promenade des Anglais owes its name to these visitors. The clear air and soft light appeals to painters. Marc Chagall and Henri Matisse spent years here and are well represented in the city's museums, the Musée Marc Chagall, Musée Matisse and Musée des Beaux-Arts. 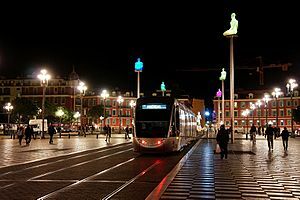 Nice has the second largest hotel capacity in the country and is one of its most visited cities. It gets 5 million tourists every year. 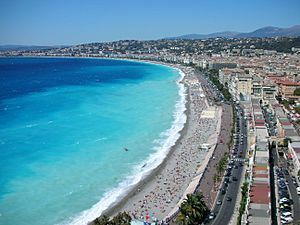 It also has the third busiest airport in France after the two main Parisian ones.. The cuisine is excellent. It benefits from the Mediterranean in the form of bouillabaisse (a shellfish dish). From the end of empire, immigration from Algeria has led to excellent North African dishes such as cous-cous. Ratatouille and (obviously) salade niçoise are more local dishes. There is a local dialect, le nissard, nissart, or niçard. 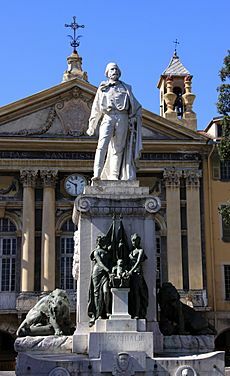 It is a variety of the regional language, Occitan. 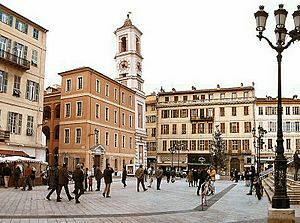 It is Italian in style, reminding that the area has been under different sovereignty in the past. Nice Facts for Kids. Kiddle Encyclopedia.